I bought a new handheld calculator! Actually, it is not new; it was made about 1965. 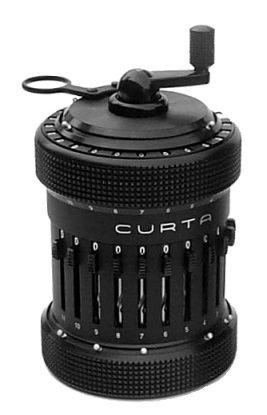 It is a Curta Type I. … was born in Vienna, the son of Marie and Samuel Jakob Herzstark. His father was Jewish and his mother, born a Catholic, converted to Lutheranism and raised Herzstark Lutheran. In 1938, while he was technical manager of his father’s company Rechenmaschinenwerk AUSTRIA Herzstark & Co., Herzstark had already completed the design, but could not manufacture it due to the Nazi German annexation of Austria. … perhaps influenced by the fact that his father was a liberal Jew, the Nazis arrested him for “helping Jews and subversive elements” and “indecent contacts with Aryan women” and sent him to the Buchenwald concentration camp. However, the reports of the army about the precision-production of the firm AUSTRIA and especially about the technical expertise of Herzstark led the Nazis to treat him as an “intelligence-slave”.… he was called to work in the factory linked to the camp…. There he was ordered to make a drawing of the construction of his calculator, so that the Nazis could ultimately give the machine to the Führer as a gift after the successful end of the war. The preferential treatment this allowed ensured that he survived his stay at Buchenwald until the camp’s liberation in 1945, by which time he had redrawn the complete construction from memory. After the war he moved to Liechtenstein. In 1947 started building and selling the calculators. Production continued until 1971 when handheld electronic calculators became widely available. In that time 79,572 Type I and 61,660 Type II machines were built. The Type II calculators have an additional two figures accuracy. 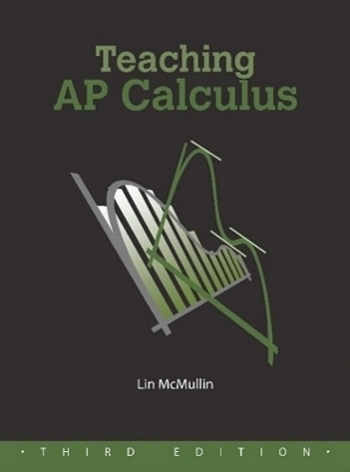 The calculator, which has about 600 parts, is based in the stepped cylinder (also called the Leibniz wheel) invented by Gottfried Wilhelm Leibniz who, as I recall, also did some work in calculus. The stepped cylinder has been used in calculating machines since Leibniz’s time. Here is an excellent video animation explaining how the calculator works. Of course all it does is add. Subtraction is accomplished using nines complement arithmetic, Since multiplication is repeated addition and division is repeated subtraction, it can also do those operations. But then things get interesting. There are lots of other arithmetic operations that can be done on a Curta calculator. They make use of various numerical algorithms for engineering, and business applications. If you are interested in more about this click here. For a quick example, the video below shows how to calculate square roots on a Curta using the idea that the square of any positive integer, n, is the sum of the first n odd integers, There are actually several algorithms for square roots and others for cube roots. There is a Curta Calculator website. Here you will find lots of information about the Curta calculators including technical information and drawings, historical material, pictures, articles, simulators, cleaning and repair instructions, photos and videos. Now, if I could just figure out where the batteries go….